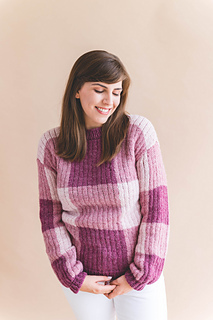 This adult sized knit sweater is the perfect thing to make when you’re feeling like your closet could use some feminine modern flair! 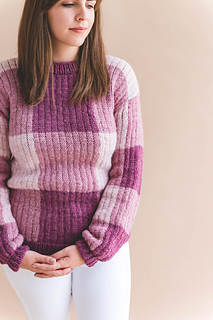 You knit it bottom up in panels with easy stockinette stitches and simple colorwork, then seam your flat pieces together with my full photo tutorial. Pattern includes sizes XS-3XL womens. 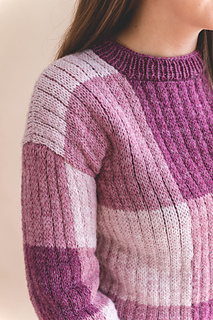 This is an easy level knitting pattern, and the techniques you will need to know are cast on, knit, purl, knit front back, knit2together, stranded colorwork, and casting off.